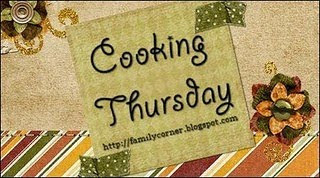 For more Cooking Thursday recipes join us at Diary of a Stay at Home Mom. We love chicken and dumplings around here. I had never, ever eaten them before I met my husband but they have quickly become one of my favorite cooking foods. I like to make them completely from scratch but sometimes I just don't have the time or the patience to do it. Hence, my "cheater" version. 1. 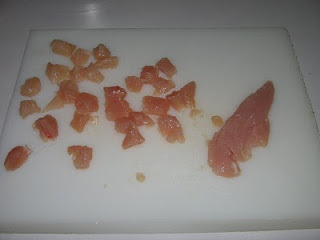 Cut chicken breast tenderloins into bite sized pieces, and place in soup pan. 2. 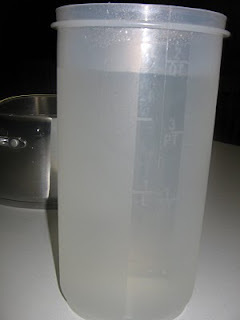 Add in two quarts of water. 3. 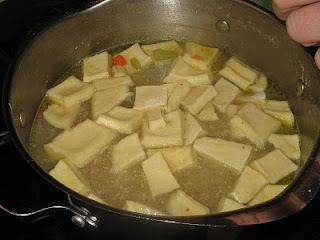 Add in 2 chicken bouillon cubes. 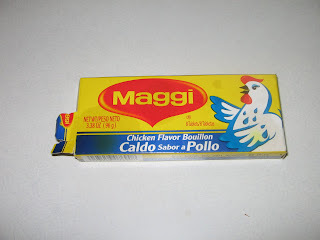 Maggi is my favorite. 4. 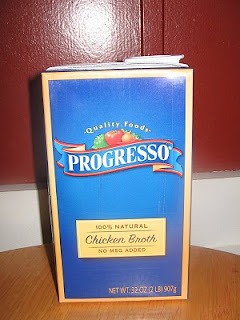 Or if you really want to cheat use some pre-made chicken broth instead of water and chicken bouillon cubes. 5. 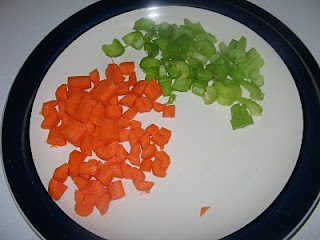 Add in carrots and celery. 6. Bring to a boil over medium-high heat. 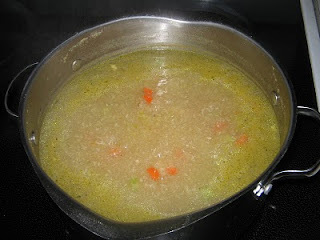 Reduce heat to low and let it simmer for 30 minutes. 7. 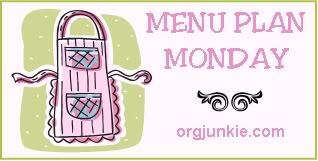 While soup is simmering it's time to get your dumplings ready. 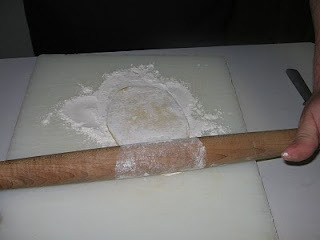 Roll biscuits out on a floured surface. Be sure to use plain biscuits, butter flavored will result in an awful tasting soup. Believe me, I learned this the hard way. I honestly didn't think about it while I was cooking. 8. 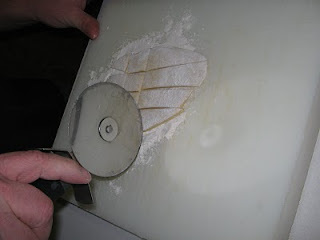 Use a pizza cutter to cut biscuits into squares for dumplings. 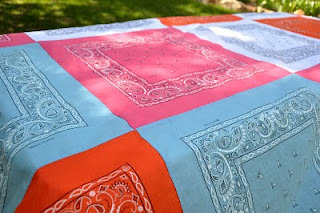 Be sure to cut squares small! 9. Put dumplings in soup pot and let cook for an additional 15 minutes. 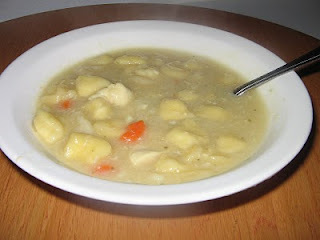 I've never made chicken and dumplings. This looks easy and good. Thanks!